January 31, 1936: WXYZ in Detroit, MI broadcast The Green Hornet with its famous theme song The Flight of The Bumble, for the first time on this day. This show was lasting for 16 years. The Green Hornet actually came from the same radio station of The Lone Ranger . The title character of The Green Hornet , Britt Ried, was supposed to be the nephew of The Lone Ranger, John Reid. These famous series were created by George Trendle and Fran Striker. The Flight of the Bumble Bee was originally used as an orchestral interlude for the opera of Nikolai Rimsky-Korsakov entitled “the Tale of Tsar Saltan.” However, upon the usage of this song in the radio program ""THe Green Hornet"", The Flight of the Bumble Bee was associated more to Britt Reid compared to its original use and purpose. The Green Hornet has already gone through different transformation. As a radio program, the series was broadcasted under different stations. 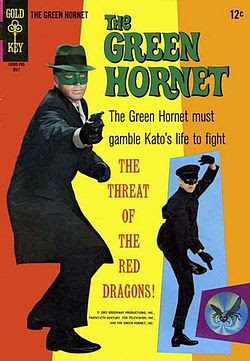 In other media, different film serials has been shown, television serials has been aired, comic books and prose fictions, However, despite these various transformations, the produce always goes around the main core story of having The Green Hornet and his confidant Kato being able to fight crimes at night like a vigilante.